Identification of oyster species is still largely based on phenotypic characters that are highly plastic. 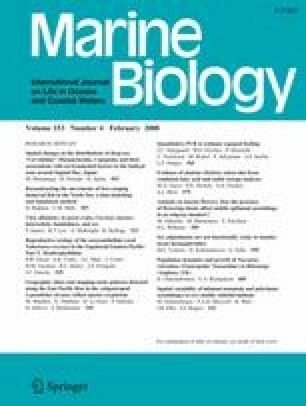 Prompted by the proposed introduction of the Asian oyster species Crassostrea ariakensis into the Chesapeake Bay region of the U.S.A., this study uses molecular genetic information to understand the taxonomic framework surrounding C. ariakensis and to confidently distinguish among various sympatric oyster species. Putative samples of C. ariakensis and other species of cupped oysters from across Asia were collected and phylogenetic analyses were conducted on DNA sequences of both nuclear (ITS-1) and mitochondrial (COI) regions. Trees generated based on the two independent molecular datasets were highly congruent, and indicate that many oysters collected for this study as C. ariakensis were originally misidentified. Results also indicate that C. ariakensis, C. hongkongensis and C. nippona are distinct, but closely related species. There is strong support in both analyses for a close relationship between C. gigas and C. sikamea, as well as between C. belcheri and C. gryphoides, and between C. iredalei and C. madrasensis. The parsimony analyses based on these DNA markers, however, did not provide evidence to support C. angulata as a distinct species from C. gigas. Overall, the results emphasize the need for rigorous species identification, and additional extensive and intensive sampling to more accurately determine relationships among Crassostrea species, define their geographic distributions, and establish existing sympatry patterns. This research was supported by Virginia Sea Grant College Program award NA96RG0025, and NOAA/NMFS awards NA04NMF4570432, and NA03NMF4570379. The authors gratefully acknowledge the valuable contributions made by all of the individuals involved in collecting samples for this study including Q. Zhang, S. Allen, A. Wang, X. Wu, D. Bushek, X. Guo, I. Kornfeld, S. Klinbunga, A. Robinson, R. Carnegie, K. Johnson, H. Que, E. Burreson, F. O’Beirn, M. Luckenbach, B. Innes, J. Higano, H. An and X. Du. Numerous individuals made excellent technical contributions to this study including Q. Zhang, G. Scott, J. Xiao, W. Ribeiro and J. Moss. The translation of Lischke’s description of O. rivularis Gould was done by B.A. Cordes. We thank M. Siddall for valuable assistance in locating historical documents and for his very helpful critical reading of the document. These experiments were conducted in compliance with the laws of the USA and all collections were done in compliance with laws of the respective countries from which samples were obtained. This is VIMS contribution #2872.